This mod adds Brotherhood of Steel Paladins in four locations after the completion of the Brotherhood of Steel quest-line. It also enables several Paladins in Hidden Valley that were initially marked as disabled in the GECK. 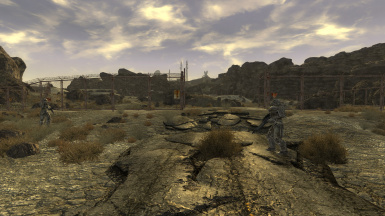 Do you find it immersion breaking when you lift the lock down for the Mojave Chapter of the Brotherhood of Steel, yet the Brotherhood still remain in their bunker without any presence on the outside? Well, this mod addresses that! After completing the quests, "Tend to Your Business" or "Eyesight to the Blind", depending on which Elder is in command, Brotherhood of Steel Paladins will spawn and patrol the area in four different locations. The first is at the front entrance of Hidden Valley, the second is in front of the REPCONN Headquarters, the third is on top of Black Mountain, and the fourth is inside the Silver Rush. 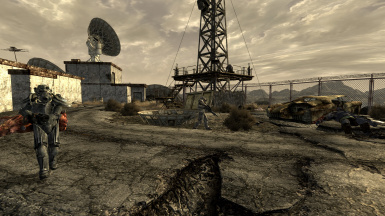 These areas capture the interest of the Brotherhood of Steel as they posses significant amounts of high level technology. The Paladins are set to respawn in case they are killed during combat with the Super Mutants of Black Mountain, or the Van Graffs of Silver Rush. This mod effectively gives the feeling of power being restored to the Brotherhood of Steel after completing their quest-line and ending their lockdown. 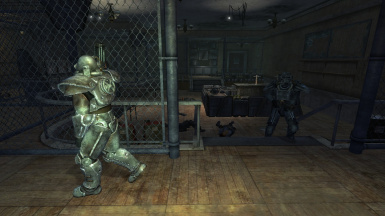 To specifically trigger the Brotherhood of Steel patrols to spawn, you must first become a member of the Brotherhood of Steel as well as gain access to their safehouse from the current Elder. 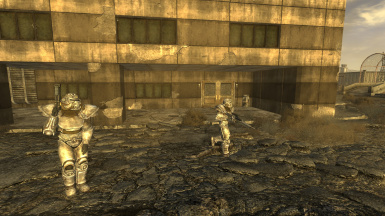 Once entering the safehouse bunker, and walking through it, the Paladins will then be spawned into the Wasteland to fulfill their duty. If you like this mod, try my other mod!